Stolen from Kevin, who stole it from someone else. When did Congress gain power over the sun, and why can’t they cause Seattle to be sunny year round? 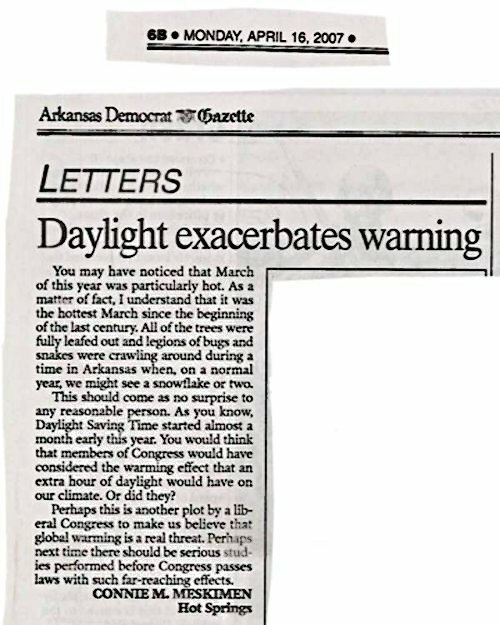 It turns out that this article was actually published by the Arkansas Democrat Gazette, but the author meant it as satire. Hopefully, the editors of the newspaper realized this as well when they published it.